Made With Premium High Refining Quality Pearls - Medical Grade AAA* 100% Natural * NO Additives * NO Chemicals * NO Heavy Metals. Uses the latest, state of the art technology. Weather you want to make money selling this beauty treasure on your own, incorporate it into your business, or indulge yourself in the luxury of this precious jewel, you will find our Pearl Powder to be Pearlicious. 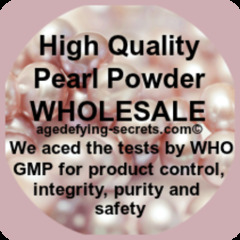 We offer our Pearl Powder in Bulk Packages, at Wholesale prices. 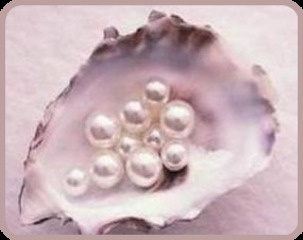 Our Seawater Pearl Powder is 4000 mesh for Perfect absorbability and efficacy. We aced the tests by WHO GMP for product control, integrity, purity and safety. They guarantee that our product is of Most astounding quality. Our Powder is 100% Pure, Medical/Pharmaceutical grade, ultra-fine, non-toxic, 100% safe - all natural, making this product a powerhouse that the entire public needs a to be aware of. In essence our Pearl Powder delivers the mineral and amino acid elements to the body in a form that the body absorbs without contraindications. It not only miraculously heals the skin and body, but that we can offer at a price that works for everyone, including spa's, massage, and health care professions who offer and sell to their clients and patients so that they can make a healthy profit. 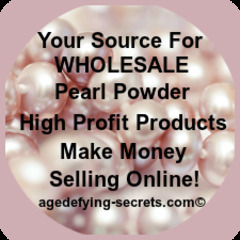 You can make great money by buying wholesale pearl products for a low price, and then re-selling them. Add Pearl Powder to shampoo's, facial cleansers, cream's, or lotions and sell them online on websites like eBay, Amazon, Facebook, Twitter, Tumblr, or to grow your spa, massage, or health care business. If you have a Juice or smoothie bar, our pearl powder will naturally fit into that niche. It's a delicious way to bring in extra income. This precious deep sea Gem works magic by delivering medicinal healing properties to the skin, hair, nails and body. If you’re considering opening your own juice or smoothie bar, then it’s critical that you do lots of researching into the juice bar market and understand how the industry works. I have provided a couple of links to help you get started. How to Start Your Own Juice Bar Business - READ THIS FIRST! Click Now To Cash In On These Long Term; Profits. Steps On How to Start Your Own Juice Bar Business. Sell them to your friends and family, or purchase a table at a Local Vending fair. Vender fairs are all over the place - craft shows, art shows, fairs and festivals; you can make a full-time income selling your product at these events. If you don't have any available vendor fairs in your area, sell your product, on Facebook, Linkedin, Twitter, Pinterest, and Craigslist, these are all good avenues to help you earn cash. You can also advertise on Marketing Mania, a whole world of "Free" Advertising sites. It's a fantastic option to get your budget prepared to make money!